Aloha! I have lived in Hawaii since 1975 and am very grateful to call this special place home. I am single and have a 26-year-old daughter who blessed me with my first grandchild in June 2014. She, Keao'olu, is the new love of my life! My other passions include glass art, good food (farmers markets, cooking & eating) and being in Hawaii'smost beautiful natural environment. I also devote a significant part of my emotional life and time to my family, friends and neighbors. These relationships make my life rich. In September 2014 I ended my career as a nonprofit Executive Director and launched my own company - Green Dog Projects. I am offering, as a consultant, my extensive skills and knowledge in the areas of project, program and event planning and implementation. Currently I am managing a non-profit website, organizing a Parade of Farms event and writing grants for an arts organization. 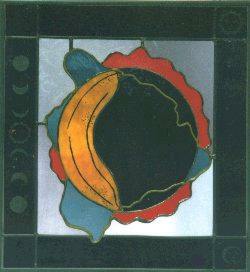 My business model includes spending time in my glass studio. I am teaching classes, hosting workshops and working on my own projects. 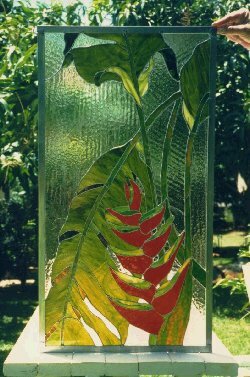 I have experience with stained glass restorations and private and public commissions, lamp-work (beads), small kiln projects (fused & slumped glass) and etched glass. I am also developing my interest and skills creating mosaic projects. 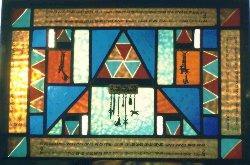 Please contact me (kci@hawaii.rr.com) if you would like to discuss your glass art needs!